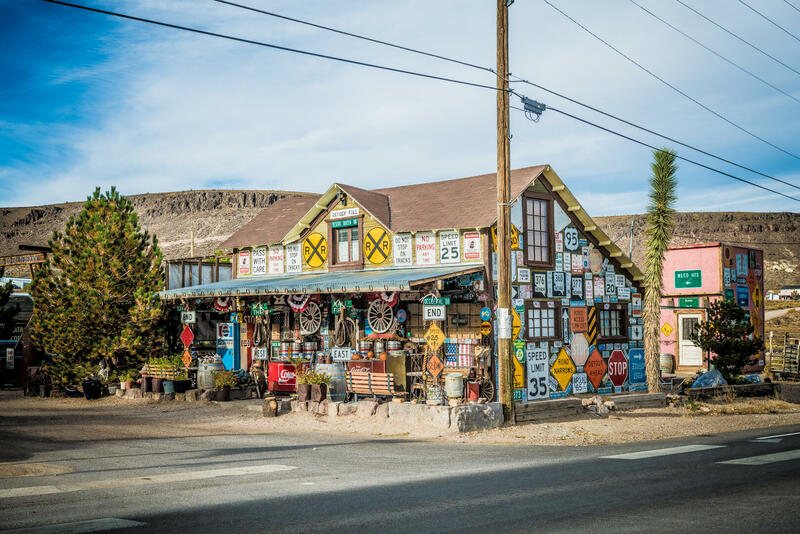 On a lonely stretch of Route 95, cast haphazardly against the sagebrush of Central Nevada, is the tiny ghost town of Goldfield. Home to only 268 people, its main industries are tourism and gold. To the south of town the “International Car Forest” is the main draw for travelers. But this is a recent attraction, for most of the town’s history, its showpiece was the legendary Goldfield Hotel. A four-story classical revival building built in 1908. The yawning façade still dominates the town’s main square. It caused a sensation upon its opening, as it was one of the first hotels in the west to use electric lights and supply running water to every room. This was during more prosperous times, when the town was the largest in all of Nevada, boasting a population of 20, 000. A gold strike in the Mohawk claim, owned by George Wingfield, sparked a rush to the area. But Goldfield was not so much a city, as it was a storm, racked by floods, fires, and anarchist labor agitators. Within a few tumultuous decades, humanity and nature conspired to strip the land bare. By the 1920s, the gold rush was a trickle and the town was in decline. On July 6th, 1923 a moonshine still caught fire on Main Street. The hotel proved impervious to the blaze, but the town did not. As the houses emptied, the hotel became a flop-house for cowboys and G.I’s before serving its final guest in 1945. Today, it only houses ghosts. 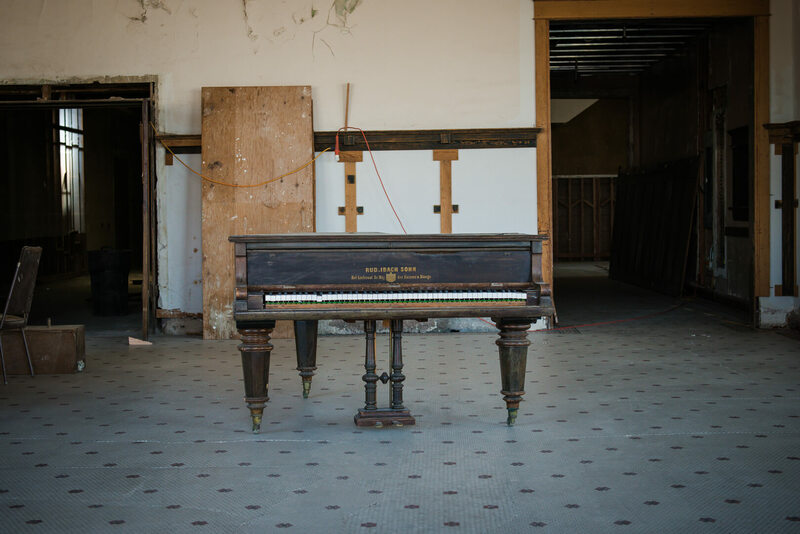 The Goldfield Hotel is the symbol of this ephemeral boom town. From the mahogany panelled lobby, with its black leather buttoned couches wrapped around iron pillars, to its state of the art elevator running 300 feet per minute, the Goldfield was the height of opulence. Legend has it, that a river of champagne was poured down the front steps when it opened. It was proclaimed as the most beautiful hotel between Chicago and San Francisco, and it spoke to the stature and the excess of the man who owned it, and the entire town, George Wingfield. Born in Fort Smith, Arkansas in 1876, Wingfield spent his youth driving cattle across the sagebrush of Nevada. He fancied himself a gambler and regularly squandered his wages on horse racing and drink. He drifted from town to town dealing cards before bluffing his way into a job as a camp scout for Senator George Nixon in Tonopah, Nevada. 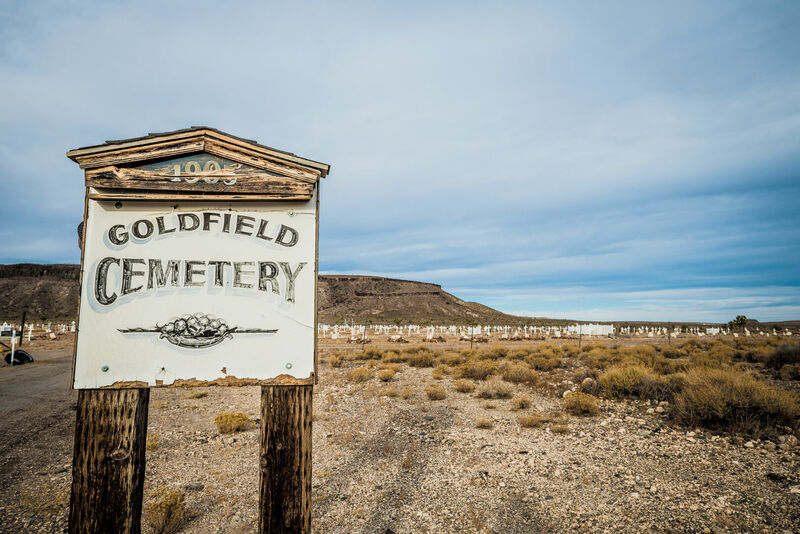 This rumor may provide insight into the Goldfield Hotel’s most famous specter, Elizabeth, said to have been a prostitute favored by George Wingfield, who became pregnant. Rather than facing the shame of the affair coming out, Wingfield locked Elizabeth to a radiator in room 109, providing food and drink until the child was born. It is not decided whether Elizabeth died in childbirth or was killed, but all accounts are certain that Wingfield disposed of the child, hurling it into a mine shaft dug around the back of the hotel. While the sensational nature of this legend certainly makes it worth sharing, it has little basis in fact. The mine shafts dug around the back of the property were made in 1925, long after Wingfield had sold the hotel and moved to Reno. Nor do contemporary accounts make any mention of an Elizabeth at the hotel during Wingfield’s tenure as Chieftain of Goldfield. But the legend may not be completely false either. A lawsuit filed in 1904 by one May Baric give’s a peek into the dark nature of Wingfield. She claimed to be Mrs. Wingfield by common-law and tried to sue George for divorce. She accused him not only of emotional and physical abuse, but also intentionally infecting her with syphilis. Wingfield gave her a meager $400 to take care of their child and forced her to leave town. His partner and child were thus left adrift in the world without any support and died in obscurity. It seems that buried within the gory legend, is a bitter truth. The tragedy of May Baric still haunts this town, even after her name has passed from memory. Wingfield’s ghost is also said to stalk the hotel, leaving hot ashes from his cigar on the lobby floor, that he still paces. One could hardly imagine his soul anywhere else. He made this town, and this town made him. Little is left of “The Queen of the Mining Camps” today. But the legends endure, sensational as they may be. 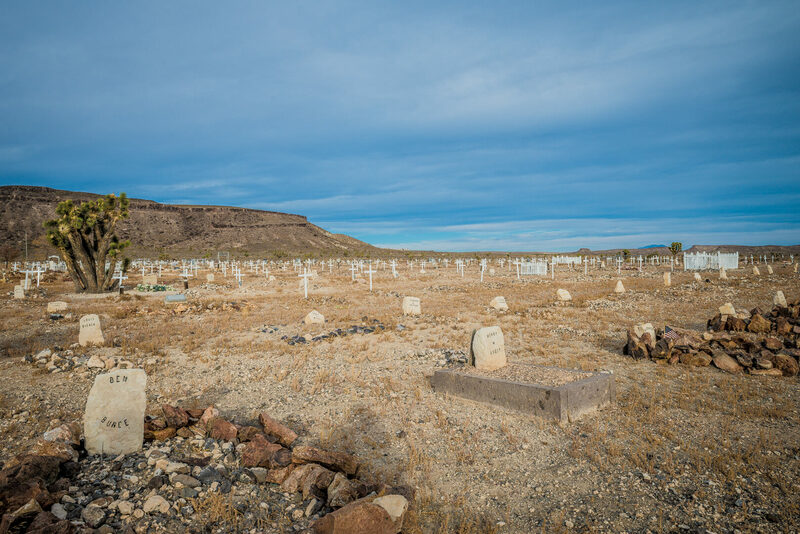 They capture the turbulent energy of the storm named Goldfield, giving life to these troubled old spirits with each new telling.